Ideal for full sun protection while gardening, working outdoors, or outdoor leisure. Shades your face and head area. Natural material banded w/drawstring. One size fits most. Weight adjusted for packing box & materials. 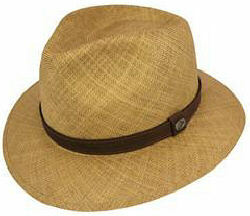 I love pairing this hat with a white peasant blouse and my dark brown shorts in the summer. It is light and makes nearly any outfit look cute.